Bhutan is a Himalayan Kingdom and it’s located in neighboring Nepal and India. The capital city of Bhutan is Thimpu and it has a many International airport where it connected with rest of another country. Reaching Thimpu is easy these days and it’s not too much difficult for people who had the plan in advance. As there are a number of international flights connecting Bhutan so people can go easily. Thimpu provides the peaceful and unique trekking experience which is far away from the bustle and hustle of the modern world. It provides many tourist facilities, therefore it’s pretty good along with the numerous restaurants, good hotels as well as market places. Meanwhile, the natural beauty of Bhutan makes everyone to enjoy the lovely treks in this place. Bhutan also famous for the best treks among Asia because of the foothills Himalayas. Bhutan is perfect destination to visit for the beginners where it provides the many day treks and it covers the distance of Paro to Thimpu. The beginners who are looking challenges in Bhutan here Snowman trek is for you. Bhutan has many Snowman’s treks and exquisite treks and all give the best challenge in the globe. Well, this also considered as the toughest trek in the world because it covers nearly twenty mountain passes and is all over the height of 4500 meters. Therefore, this trek gives the best chance for people to test the endurance not only also it provides the excellent peek into the inhabitants of the lives in this region. All treks take into the green lands, dense forests, meadows, beautiful pastures, small villages and many more. Along with the treks the life becomes simple because it takes off too much complication. The trekking in Thimpu gives a tremendous chance in order to have the extraordinary scenery of Himalayan range. The Mt. Jhomolhari is a popular trek in Bhutan and this located in the bordering region of Tibet and this promises to provide the breathtaking scenery. 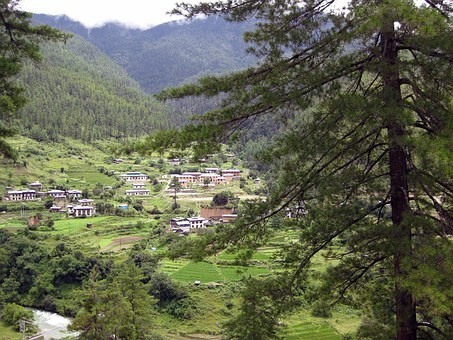 The Bumthang trek is another famous trek and it passes through different villages from that trekkers can enjoy the various lifestyles and culture of people who living here. Also, it proves to have the great experience and it takes out the various world altogether. Moreover, along with treks people can experience the numerous varieties of fauna as well as flora peculiar in this part. In Bhutan people can explore the natural beauty and amazing sites with the rich culture and heritage during the trekking expedition. Thimpu preserves the remaining places of the religion and Buddhism culture in Southern Asia, where it has many Buddhist temples, spiritual centers as well as old monasteries and all are main attractions this make the trekking adventure as more enjoyable and memorizing one. When you trek then have the chance to visit the old monasteries and important place. The most visited, richest as well as popular of monasteries known as Hemis and it contains the interesting things related to the religion of Buddhism and their culture including a copper statue of Buddha. Experience all the interesting destinations to visit and have a blast!